Healing for Patients and their Families. 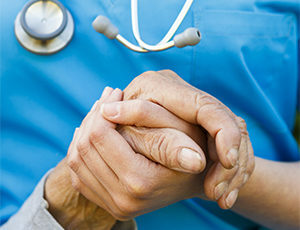 For more than a decade, Natividad Medical Foundation and Natividad have together created programs to provide spiritual care, bereavement support, pediatric palliative care and adult palliative care at Natividad to transform health care — in all phases of life — into healing for patients and their families. We are grateful for Hospice Giving Foundation’s support and funding for our Palliative Care Program. Natividad’s Palliative Care Program has grown exponentially — from serving just 13 patients in 2011-​2012 to serving 387 patients in 2016-​2017. We anticipate the demand for care will continue to grow, regardless of age, illness or prognosis. In 2020, seniors are projected to make up 34% of Monterey County’s population, compared to youth, which will make up just 16% of our population. In addition, the hospital has seen thousands of victims of trauma at the Trauma Center since its inception in 2015. Funding by the Hospice Giving Foundation and our donors helps give every patient and family at Natividad the gift of power to make the most personal choices in all phases of life.